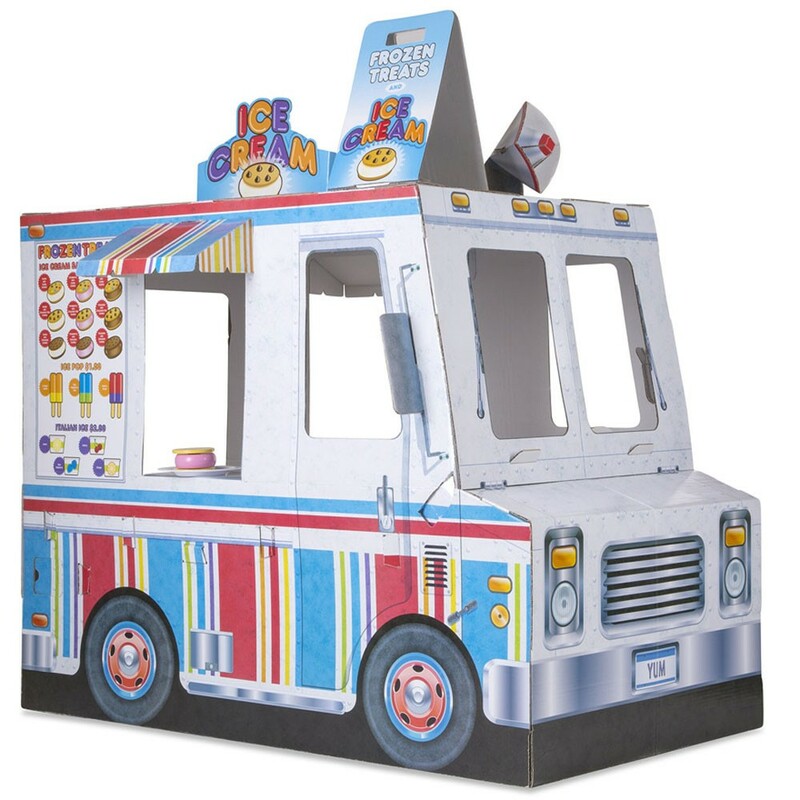 Kids can serve cool frozen treats from one side and hot lunch specials from the other of this awesome sturdy vehicle playhouse! 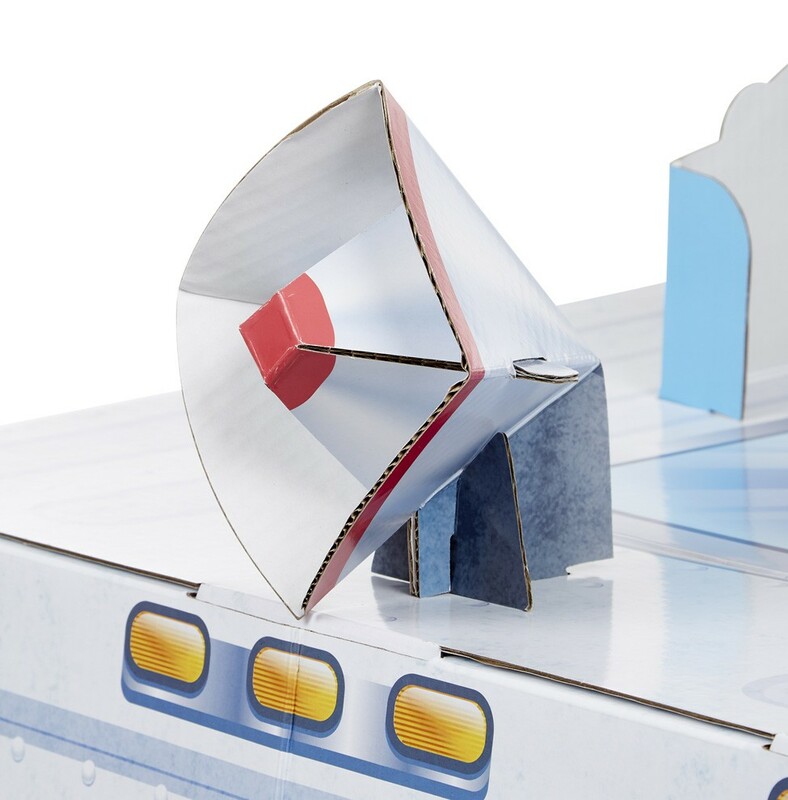 It smells like something awesomely imaginative is cooking here! 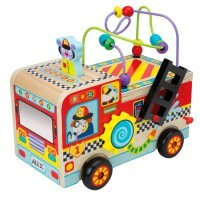 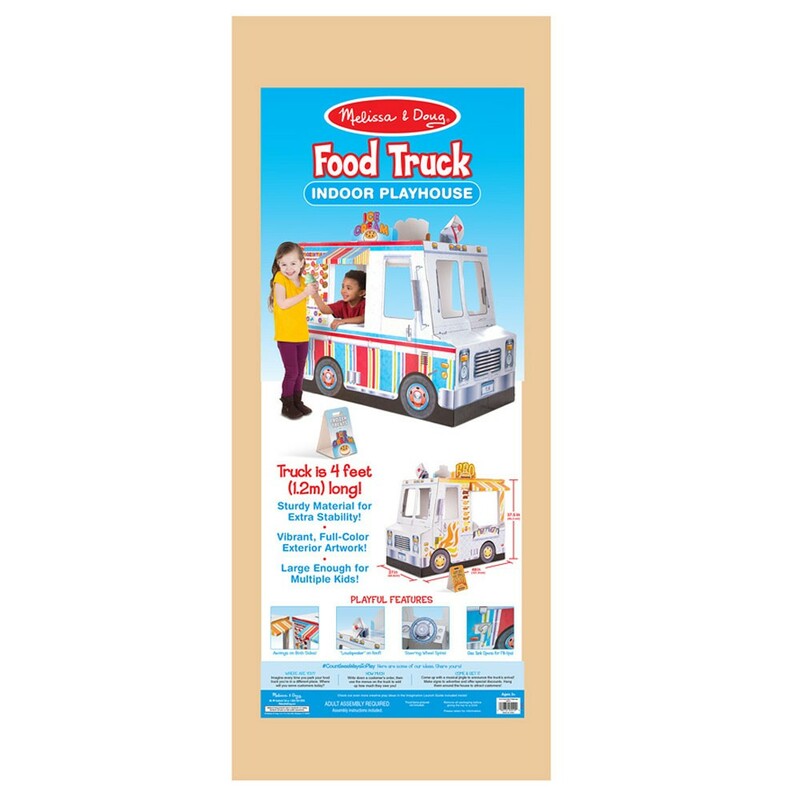 It certainly is with the new awesome cardboar food truck from Melissa & Doug! 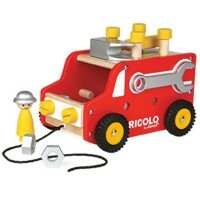 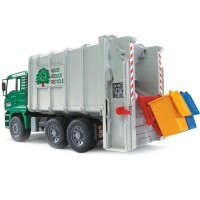 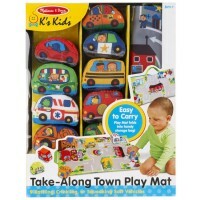 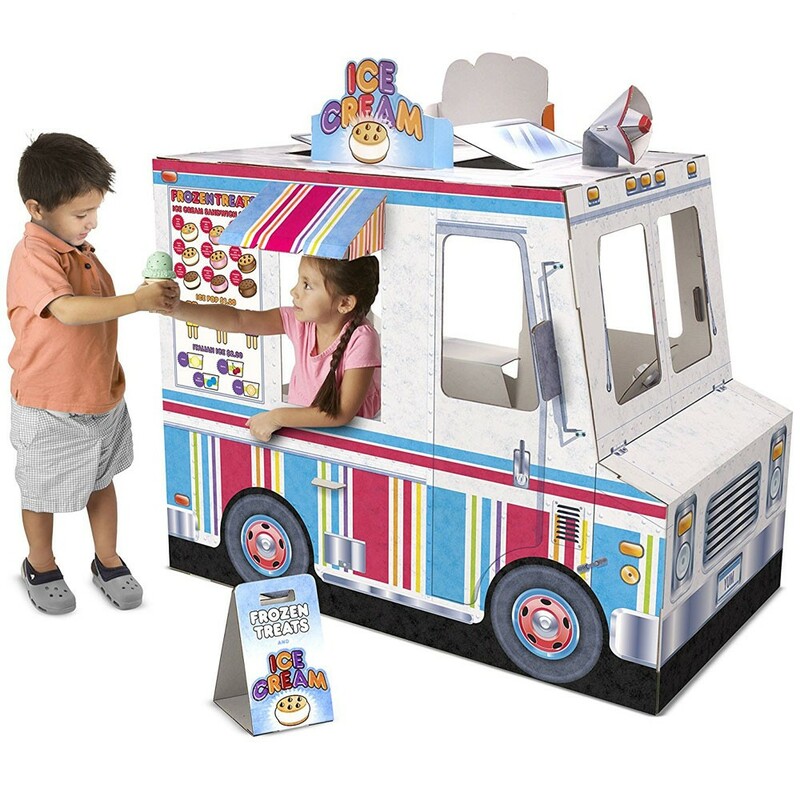 The 2-in-1 food truck is a sturdy play vehicle and unique play space for preshcool kids. 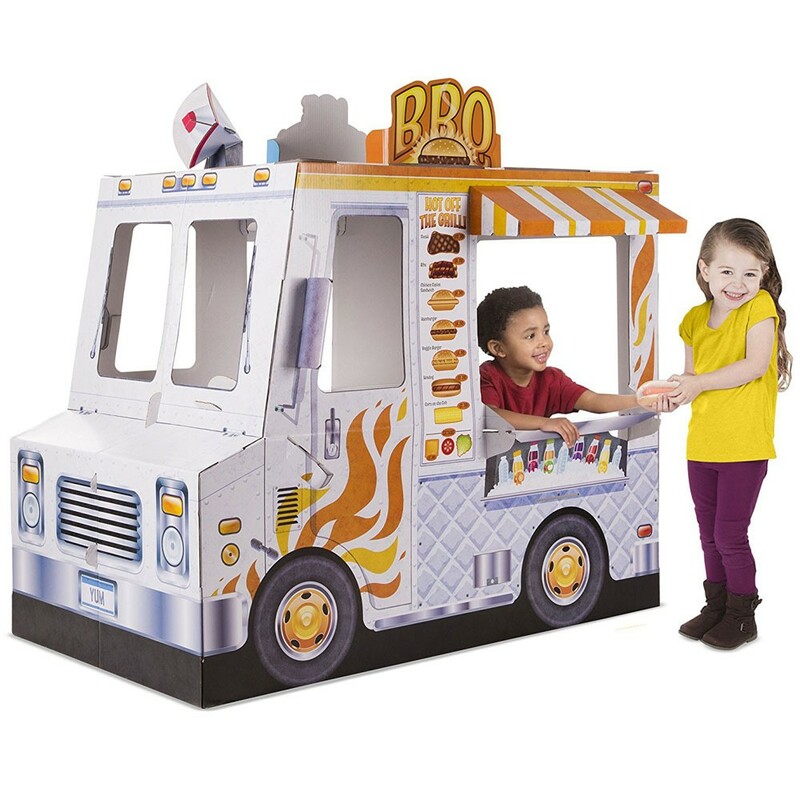 Food Truck Ice Cream & BBQ Grill Indoor Playhouse allows children serve barbecue from one side and ice cream from the other. 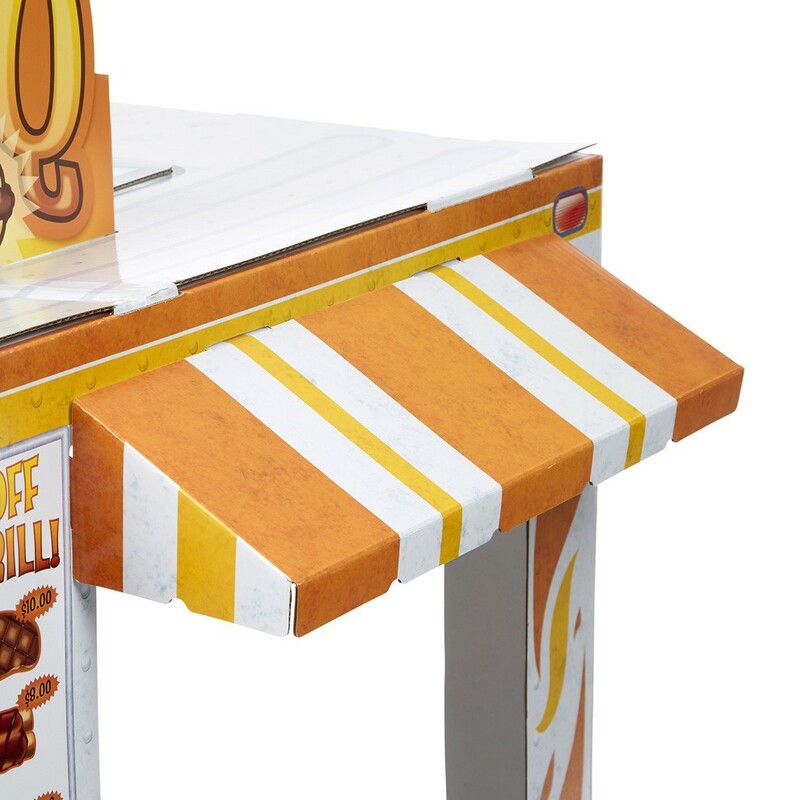 It stands nearly four feet tall and is more than four feet long, giving plenty of space for multiple kids to play. 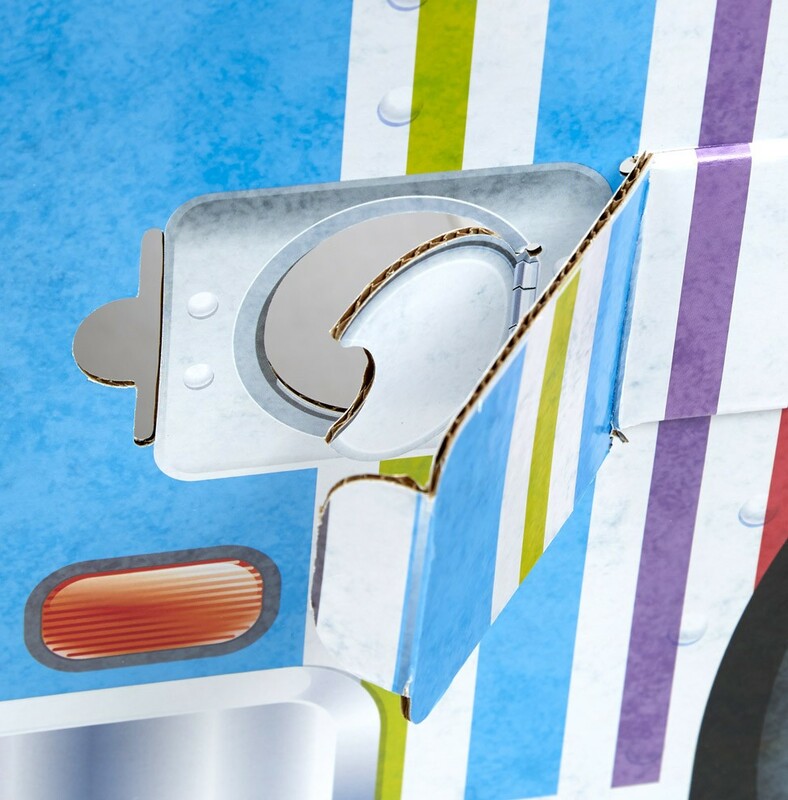 The food truck's exterior is covered with brightly colored, realistic details to put kids' imagination to work. 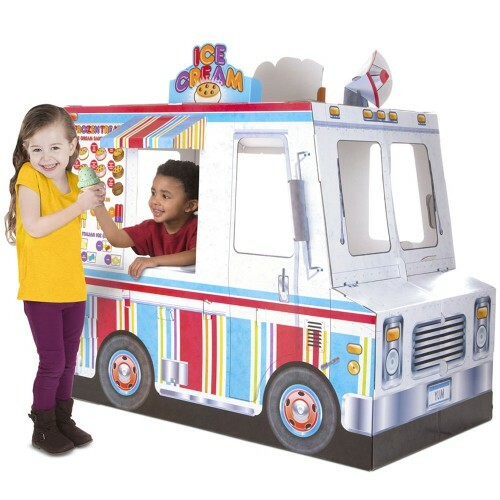 The play ice cream truck features spinning steering wheel, a loudspeaker on top, a gas tank for fill-ups, vivid color awnings, and service windows on both sides. 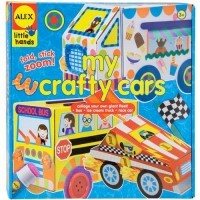 That's not all! 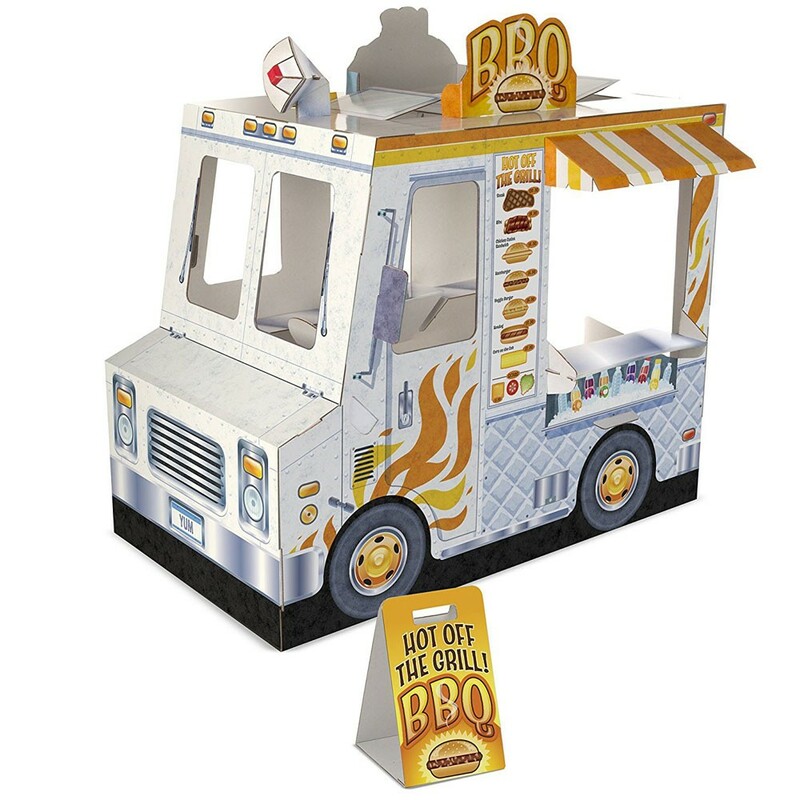 The playhouse set comes complete with menus, signs, and a sandwich board! 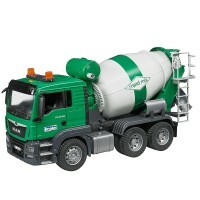 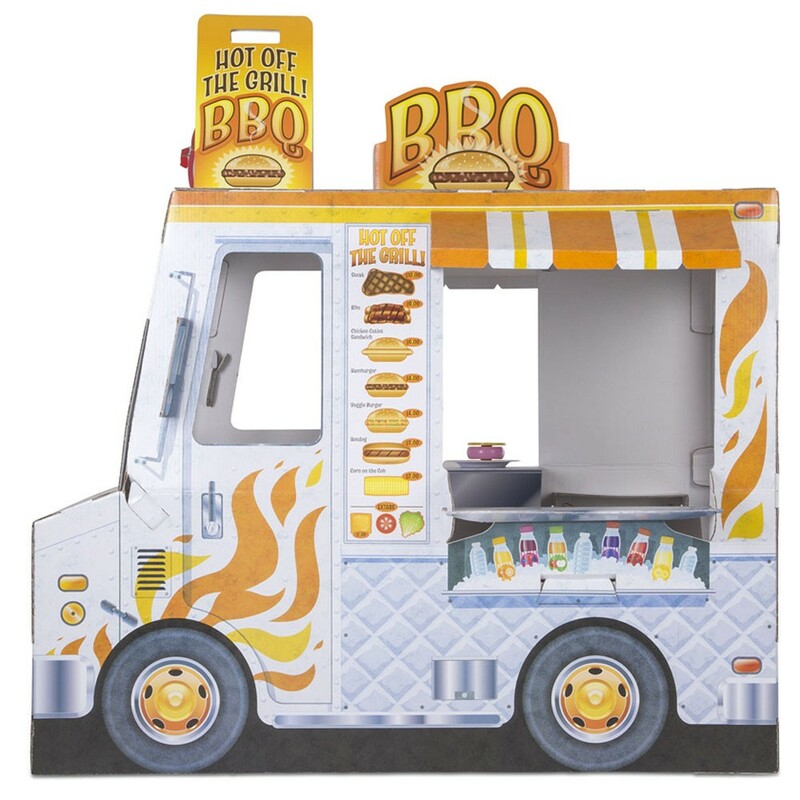 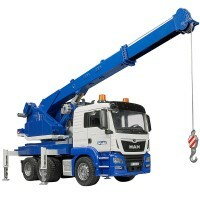 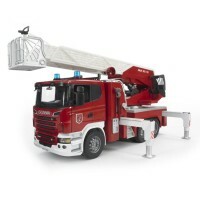 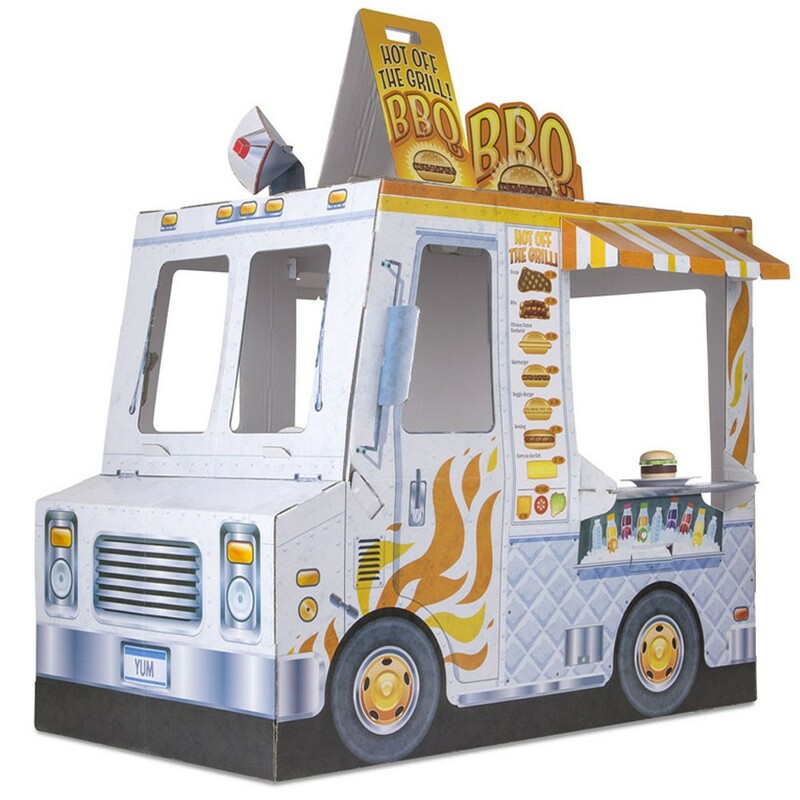 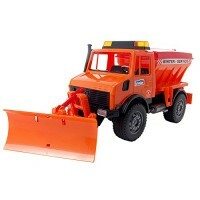 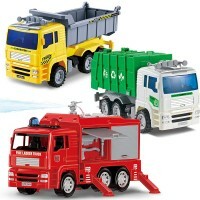 Children will love this splendid food truck and play with it for years to come! 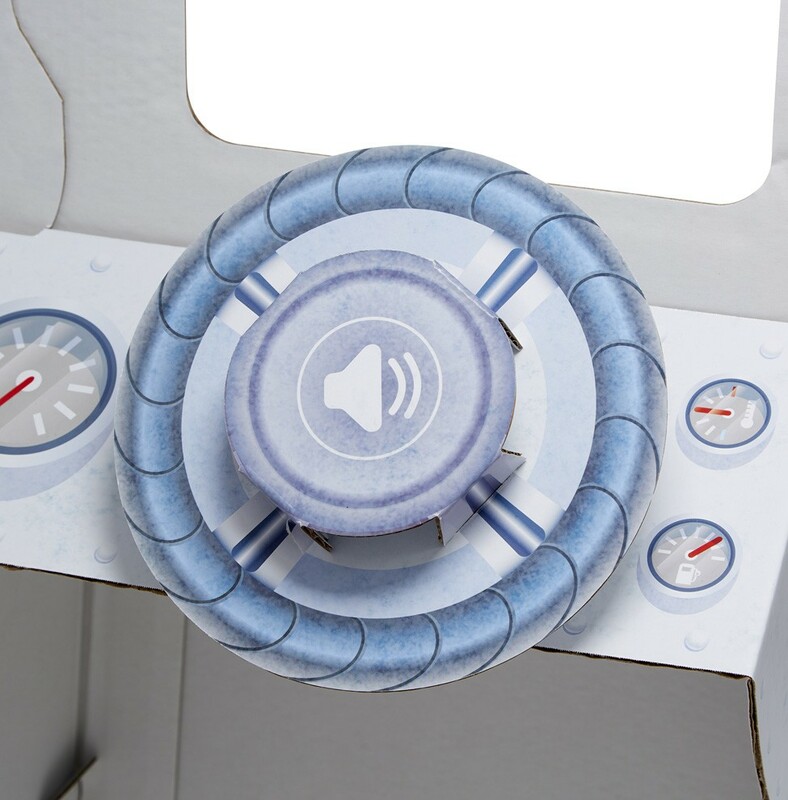 Adult assembly required. 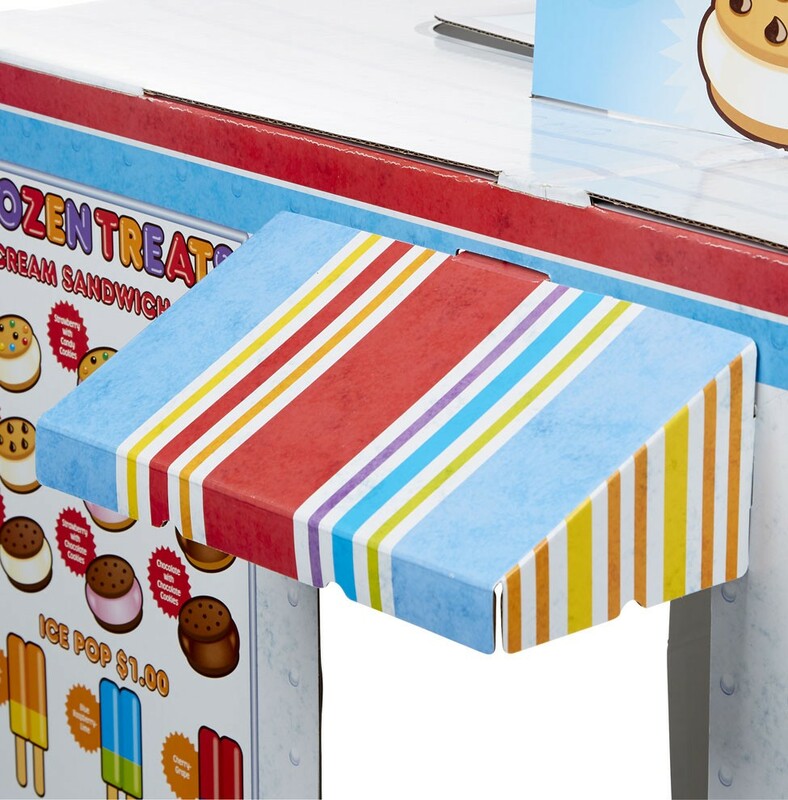 The assembled ice cream truck measures 46 x 48 x 46 inches, weight - 10.5 lbs. 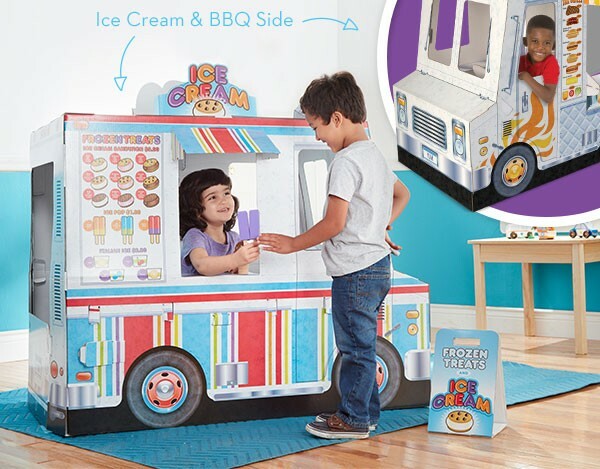 Dimensions of package 0.296" x 0.408" x 0.015"
Write your own review of Food Truck Ice Cream & BBQ Grill Indoor Playhouse.